This book is a DC Donal Lynch novel. Donal Lynch is brought in to help with an investigation when a woman is kidnapped and a ransom is demanded, however, something goes terribly wrong and the woman is found dead. All of a sudden Lynch is being used as a scapegoat instead of the detectives in charge. Determined to clear his name Lynch starts to dig into the case, he discovers dark secrets, secrets which people don't want to come to the surface and secrets which show the police are after the wrong man and that the real killer is, in fact, worse than they could have imagined. 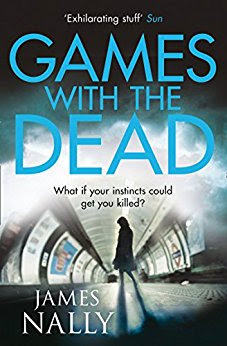 I was looking forward to reading this book as crime thriller books have recently become my favourite genre this year and I was not disappointed. This book was a gripping and addictive thriller. Keeping you wanting to turn the page needing to know what happens next. It kept me up all night saying to myself 'Just one more chapter' and it never was just one more. I finished the book. I love it when a book gets me like that though. Wonderfully written, kept me guessing right until the end of the book. An interesting and gripping plot. Easy to follow and really enjoyable. A very well written and enjoyed story.